I'm Hungarian, from Hungary (and no, please no more "hungry Hungarian jokes", it gets really old very fast). For those who are not that keen on world geography it is a country in Europe, in Central Europe, next to Austria. It is always a joy meeting some expatriots around the world, people who I have no idea they are from Hungary but learn later that they either immigrated or their parents did. And now you all wonder why the geography lesson when introducing today's guest. Well you might have guessed... 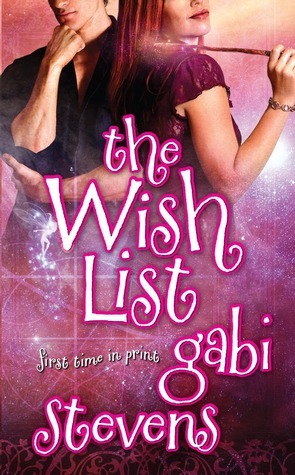 I first "met" Gabi when her debut novel "The Wish List " was released and I fell in love with the adorably colourful cover. 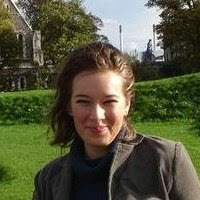 I followed her release through guest posts and very soon learned she is of Hungarian origin. So welcome to Ex Libris Gabi, it is a joy to have you over! Please give a warm welcome to Gabi Stevens! When I came up with the idea of making the heroines of my trilogy [THE WISH LIST (May 2010); AS YOU WISH (April 2011); Book three (as yet untitled; March 2012)] fairy godmothers, the fairy tales I loved as a child and an adult immediately jumped into my mind. I studied German in college and took a class on the Märchen in graduate school, learning about the Bothers Grimm. Heck, I even spent a year at Georg August University in Gottingen, where the brothers were once professors. I have read the stories in English and German—multiple times in both languages—and even in Hungarian. I love the stories; it may have skewed my view of the world a little, but I have always loved tales of magic, good deeds, evil stepmothers (Sorry, all you stepmoms out there—don’t mean to perpetuate the myth), talking animals, and morality. But by far my favorite story is one that many aren’t familiar with, and it features neither magic, nor animals (except in a peripheral manner), nor stepmothers. It definitely is a story with a moral however. The story is translated from the German as King Thrushbeard, sometimes also called King Grizzlybeard. A haughty young princess ridicules all her suitors especially one with a crooked chin, whom she calls King Thrushbeard. The name sticks. Her father, fed up with her, declares the next man who comes to the castle shall have her as a wife. A lowly minstrel appears and instead of a meal ends up with a princess. He takes her to his home, passing through the realm of King Thrushbeard, all the while saying she could have had all this had she married the king instead. The minstrel tells her she has to earn a living, but being a princess, she is fairly useless at life. She fails at everything she tries and finally has to become a servant in the castle of King Thrushbeard. He is celebrating his marriage. When she falls and ruins the meal, she starts to cry, utterly humiliated. The king helps her up and she recognizes the face of her husband, the minstrel. The king had gone under cover because he loved her, and now through the hard lessons she’s learned she is kind and generous and not at all arrogant. I don’t know what this says about me. I have to admit “Taming of the Shrew” is also my favorite Shakespeare play. I am a feminist, believe in equal rights, etc, but something about this story speaks to me. Maybe it’s the total redemption of an unpleasant character. Maybe it’s the lesson that humility is an admirable trait. Maybe it’s that the princess gets her reward when she’s finally a good person. All I know is I like the story. And now that I think about it, I use some of the elements in my next release, AS YOU WISH . Oh, don’t look for an exact translation of the story into a contemporary paranormal setting, but, yeah, some of the elements are there. The fairy tales contain truths that we all need to think about sometimes. That’s why the Brothers Grimm are still read today. In the magical world, a TIME OF TRANSITION occurs every seventy years. Old Council members step down and new ones are chosen; but the biggest change is the appointment of the new Fairy Godmothers. Unlike their role in storybooks, Fairy Godmothers protect the barrier between the magical and the human world. When Kristin Montgomery discovers her three aunts are fairy godmothers and she's next in line for the job, her uncomplicated life disappears like magic. No, not like magic; it is magic. Kristin not only has to deal with burgeoning magical powers, but also a reluctant arbiter, a selfish sprite, and a suave French sorcerer. It’s bad enough there are no books or classes she can take to learn magic, but someone is out to take over the Arcani world. Kristin has to trust her heart and her instincts to keep herself and the ones she loves out of danger. Gabi generously offered a copy of the 1st book in the series The Wish List and a Wish List notebook to a lucky commentator. 2. Leave a comment/question for Gabi, tell us your favourite fairy tale or favourite fairy tale character. Do you like dwarves or fairies? Or witches? Tell us!